Agriculture is the backbone of Pakistan’s economy. 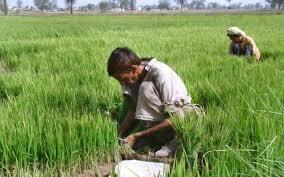 25% of Pakistan ‘s agriculture accounts for about GDP and employs about 42% of the laborforce. Punjab is the biggest agricultural province. It feeds whole rule. The main agricultural products are cotton, wheat, rice, sugarcane, fruits, and vegetables, in addition to milk, beef, mutton, and eggs. Pakistan depends on one of the world's largest irrigation systems to support production.